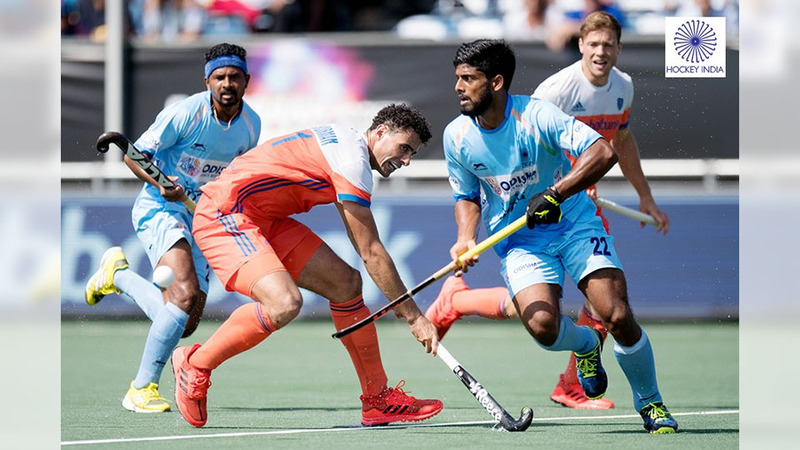 Breda: India were held to a narrow 1-1 draw by hosts Netherlands but it was enough for the last year’s runners-up to enter their second consecutive final of the Champions Trophy hockey tournament. India scored through Mandeep Singh (47th minute) from a penalty corner rebound but the goal was nullified by Thierry Brinkman (55th) five minutes from the hooter. Australia finished on top of the standings despite losing 2-3 to Olympic champions Argentina earlier in the day. India, which needed just a draw to progress, finished second. As per the rules of the tournament, the top two teams will qualify for summit clash. Now, India will take on Australia at Breda, the Netherlands, today at 7.30 pm (IST). Live on Star 1 and Star 1 HD.